This is a really unusual uplighter. I believe that it is a good example of Art Deco modernism but I am not sure of its origin. 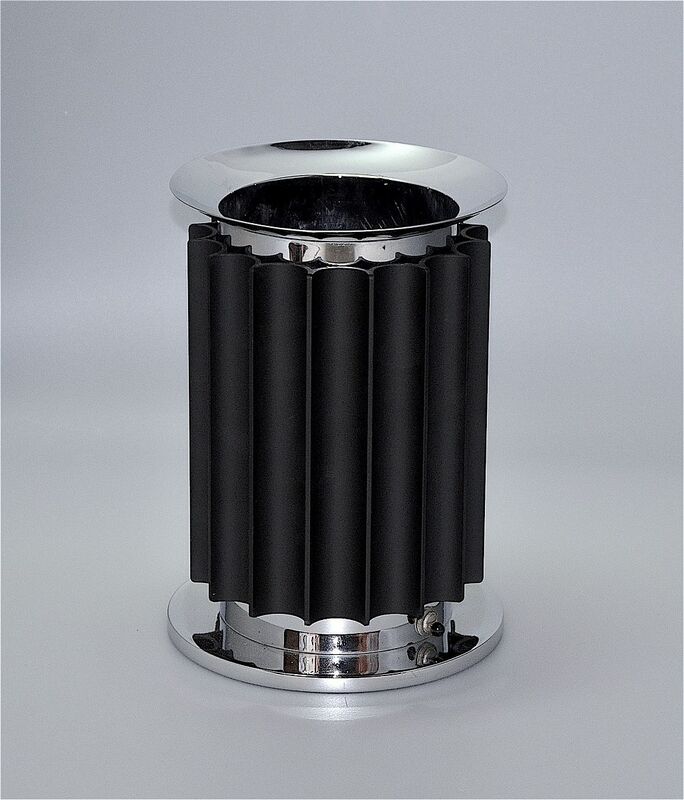 The middle section of the uplighter is made of black metal possibly steel which covers the central metal core, the bottom and top of which have been chromed and have been drilled with round holes. The original switch has been bypassed and is no longer operative. Unusual but very stylish. Very good - we have re-chromed the top and bottom sections of the inner core.